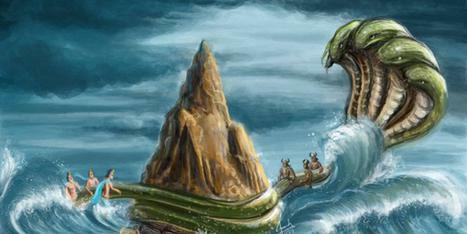 If one has Kaal Sarp Yoga in their natal chart or horoscope, then they often see images of dead people in their dreams. They see their dead ancestors or recently departed family members. They may also dream of their own house and water bodies. They may feel as if someone is trying to strangle them. As per Vedic Astrology, it is said that those under the influence of the Kaal Sarp Yog are devoted to their family and the society. They are gregarious, nurturing and altruistic in nature. They are not greedy or self-centered. They have to struggle in life and feel lonely in the time of their need due to this yoga present in the Kundli. Those under the influence of Kaal Sarp yoga have a great fear of snakes and snake bites. In fact, they often dream about themselves being coiled by snakes. They may also suffer from aero acrophobia – the fear of high places or fear lonely places. It is very important to offer special Shradh puja on Shradh Amavasya day or Sarvapitru Amavasya day for those who suffer under the influence of the Kaal Sarp Yoga. These prayers help to calm the malefic effects of the yoga on this auspicious day. Above mentioned at a clear cut indication that one suffers from Kaal Sarp Yoga in their Kundlis and to cure this they need to seek expert remedies. How might you be suffering from Kaal Sarp Yoga? As per sacred Hindu texts, it is said that we will reap what we sow, i.e. we get results as per our Karmas. This is very much true for Kaal Sarp Yoga as well. 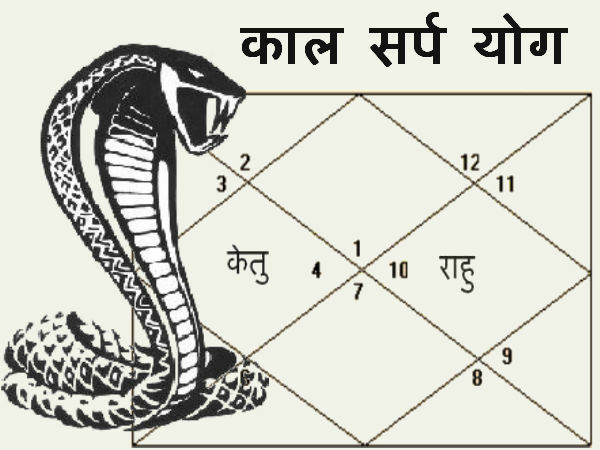 If a person has killed or caused the death of an innocent animal or a snake during his/her lifetime, then they will have the Kaal Sarp Yog in their Kundlis in their next birth. It is also said that those with Kaal Sarp Yog in their horoscope have to take a rebirth to fulfill their unfulfilled desires. As per Vedic Astrology, experts suggest remedies to reduce the malefic effects of Kaal Sarp Yoga. Chanting the Panchakshari Mantra, i.e. Om Namah Shivay or performing the Maha Mrityunjay Mantra Jaap at least 108 times daily is an effective way to overcome this yog in the horoscope. Chanting the Beej Mantra of Rahu for 108 times and keeping a string of Agate (akeek) in the hand. Watering a Peepal tree every Saturday is considered very effective. Fasting on Nag Panchami and worshipping the Nag Devta on this day or praying to Lord Krishna and offer 11 coconuts in the river on a Saturday or on a Panchami is effective. Offering 108 pairs of Nag and Nagin (female nag) made of metal in the river and offer Rudra Abhishek on a Monday is an effective remedy. Chanting the Kaal Sarp Gayatri Mantra is important too.